Classic Ray and Cocteau are planned for high-definition this July. In an early announcement to retailers, Criterion says Satyajit Ray's 1958 dramatic comedy 'The Music Room' is coming to Blu-ray on July 19. An incandescent depiction of the clash between tradition and modernity, and a showcase for some of India’s most popular musicians of the day, 'The Music Room' is a defining work by the great Bengali filmmaker. The Blu-ray will feature 1080p, an uncompressed mono soundtrack, and supplements include: Satyajit Ray (1984), a feature documentary by Shyam Benegal that chronicles Ray's career and includes interviews with the filmmaker, family photographs, and extensive clips; from his films; New interview with filmmaker Mira Nair; New interview in which Ray biographer Andrew Robinson discusses the making of The Music Room and the film's cultural significance; Excerpt from a 1981 French roundtable discussion with Ray, film critic Michel Ciment, and filmmaker Claude Sautet; and a booklet featuring an essay by critic Philip Kemp as well as reprints of a 1963 essay by Ray and a 1986 interview with the director about the film's music. 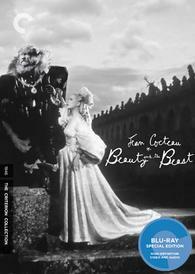 On the same day, Criterion will also be bringing Jean Cocteau's 'Beauty and the Beast (1946)' to Blu-ray. The spectacular visions of enchantment, desire, and death in 'Beauty and the Beast' ('La Belle et la Bête') have become timeless icons of cinematic wonder. The Blu-ray will feature 1080p video, an uncompressed French mono soundtrack, and supplements will include: Composer Philip Glass's opera La Belle et la Bête, presented in 5.1 DTS-HD Master Audio as an alternate soundtrack; Two commentaries: one by film historian Arthur Knight and one by writer and cultural historian Sir Christopher Frayling; Screening at the Majestic, a 1995 documentary featuring interviews with cast and crew; Interview with cinematographer Henri Alekan; Rare behind-the-scenes photos and publicity stills; Film restoration demonstration; Original trailer, directed and narrated by director Jean Cocteau, plus restoration trailer from 1995; and a booklet featuring an essay by film critic Geoffrey O'Brien, a piece on the film by Cocteau, excerpts from Francis Steegmuller's 1970 book Cocteau: A Biography, and an introduction to Glass's opera by the composer. Suggested list price for each of the Blu-rays is $39.95. You can find the latest specs for 'The Music Room' and 'Beauty and the Beast (1946)' linked from our Blu-ray Release Schedule, where they are indexed under July 19.